Shoppers walk through Northshore Mall near an AT&T kiosk Oct. 20 in Peabody, Mass. AT&T Inc.'s net income dipped as revenue from traditional landlines fell faster than the company could cut costs. 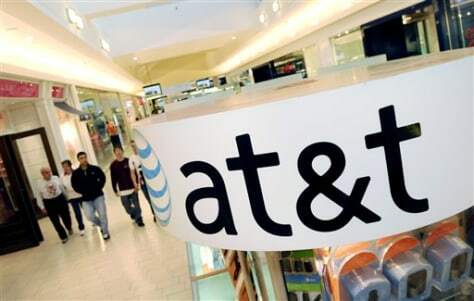 But in the growing wireless industry, AT&T is thriving, adding a record 3.2 million iPhones.